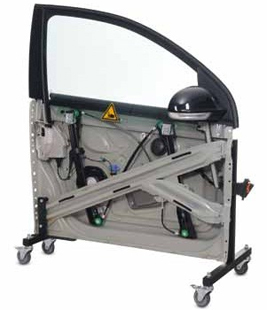 The Car Door training project integrates an original car door into the experimentation system. This allows the door essential functions (e.g. electric window winder and electrically adjustable external mirror) to be controlled by means of real CAN messages.